PRAYER PROMPT ••• Sharing our faith can be a scary thing. We live in a “don’t offend anyone” society and as a result, many of us are scared to speak up and “boldly proclaim the Gospel” (Ephesians 6:19). But boldly proclaiming our faith takes many forms. In some cases, you may simply talk about a special event at church and invite someone to join. In other situations, your actions may speak louder than words when you live out your faith by example. Perhaps showing love instead of reacting in anger will be your bold proclamation. Those who need Christ are watching. Sometimes waiting for us to fail. 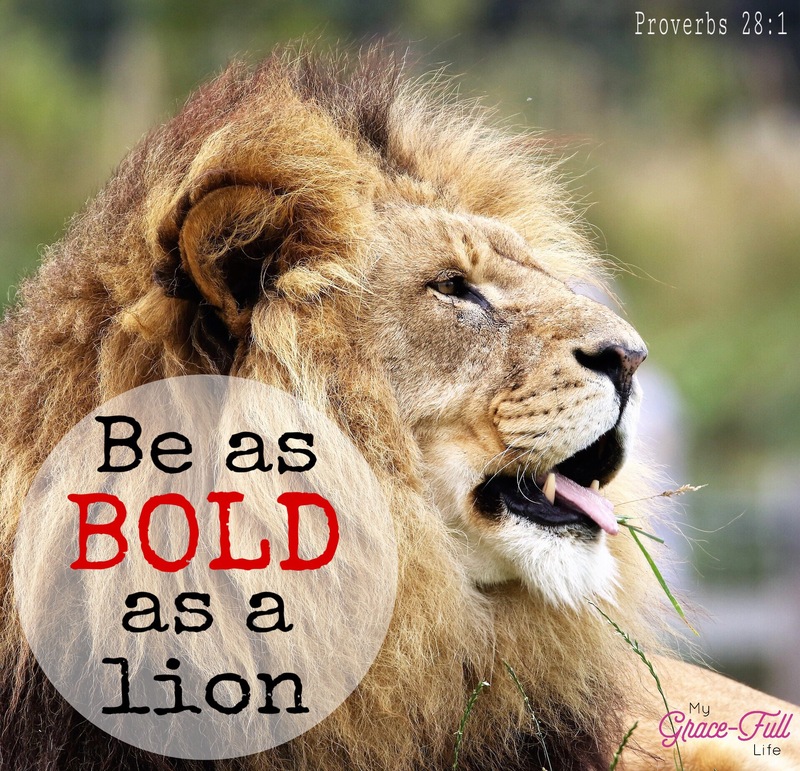 By boldly being steadfast and uncompromising in our mission to live for God, we are being as bold as lions. Pray today for that kind of courage. Ask the Holy Spirit to help you!